With Call of Duty: Black Ops 4’s Operation First Strike coming to a close, the next op has been announced by Treyarch, and it’s set to introduce a whole lot of new everything! 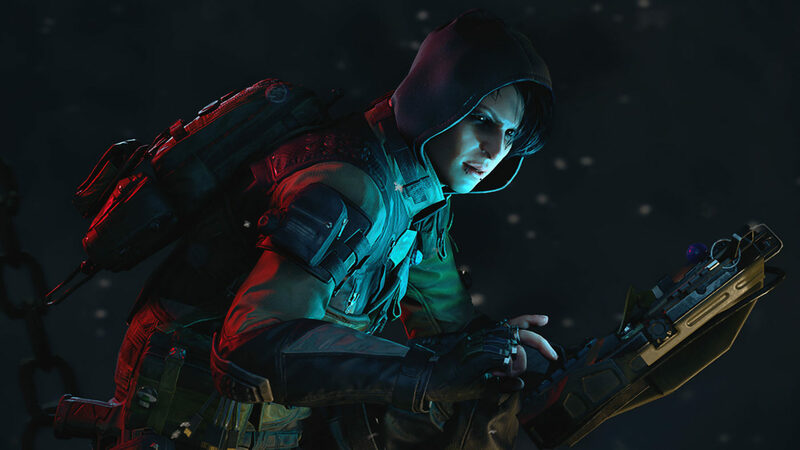 Expect Black Ops 4 new weapons, a new specialist (as hinted previously), new Black Market changes and lots more! 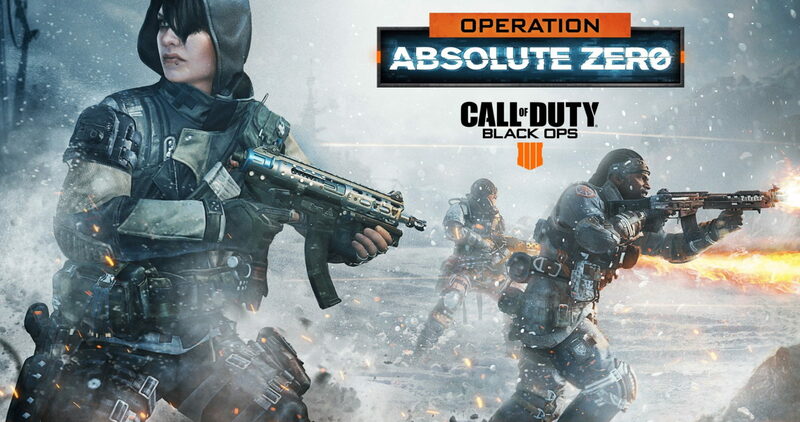 Called Operation Absolute Zero and coming first on the PS4 next week (with Xbox One and PC getting it a week later), the new Black Ops 4 Specialist is named Zero, and is said to be able to disrupt and distract enemies! In addition to Zero, a bunch of Black Ops 4 new weapons will be making their way into the Black Market as well! The Daemon 3XB SMG, SWAT RFT assault rifle, and Secret Santa melee weapon, which will be joined by new weapon camos, reactive camos and new reticles to unlock. Players can get their hands on these new weapons ASAP by playing a new mode that’s being rolled out — Blackjack’s Gun Game! It’ll be one of the featured multiplayer playlists on the PS4. More featured MP playlists will be rolled out throughout the rest of the year, and a new holiday event starts December 13 on PS4 which will bring new seasonal items to unlock once again. As for Blackout, “everything changes” for the mode in Operation Absolute Zero according to Treyarch. New and much-needed changes are coming which includes new Armor repair system, audio improvements, SDM and Spitfire weapon balancing, and seasonal changes across the entire map. Players should see the new map changes in Blackout right away, as there’s going to be softer winter lighting, season changes in foliage, and more. On December 11, Hijacked will be making its way to Blackout, which is inspired by the classic multiplayer map. Not a fan of the Black Market? Treyarch is revamping it for the launch of the new op to make tier progression “simpler and more rewarding.” Players will now be able to mix and match warpaints with different outfits, and gain access to warpaints without having to own the corresponding outfit. Black Oops 4 competitive season plans have been outlined too! You can read up on every bit of info along with the changes coming to Zombies right here. Once the title update is out, we’ll be sure to let our readers know. We’ll be covering Operation Absolute Zero in-depth and will report on anything new.